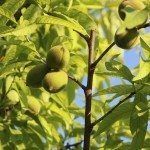 I have a Georgia peach tree that is a little over 2 years old. It has started to produce peaches. The problem is that the branches aren't thick and strong enough to hold the weight of the peaches. One branch broke with a bunch of peaches on it. Is there any way to save the branch and keep the peaches on the branch?